"Councilman Dee Andrews has earned the endorsement of the Teachers Association of Long Beach because he has been a lifelong advocate for students and teachers"
*Long Beach, CA – The Teachers Association of Long Beach announced their endorsement for City Councilmember Dee Andrews’ write-in campaign today. The Teachers Association of Long Beach joins the Long Beach Police Officers Association, the Long Beach Firefighters Association, and many others in supporting Dee Andrew’s candidacy for Long Beach City Council. Dee Andrews was elected to the Long Beach City Council in a Special Election in 2007. He was re-elected overwhelmingly in 2008 and was unopposed in his re-election in 2012. On the Council, Andrews has focused on strengthening neighborhood safety, prioritizing funding for local infrastructure improvements, expanding after-school programs, and instituting commonsense reforms to improve the delivery of city services. Andrews has been a resident of central Long Beach for over 60 years. He served as the first African-American Student Body President at Poly High School, where he was an All-American High School Football and Track star. 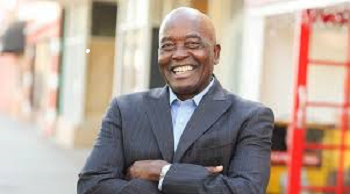 He holds a Bachelor’s degree in Social Science and Physical Education from California State University Long Beach, and is a member of the Long Beach State and Long Beach City College Athletic Hall of Fame. 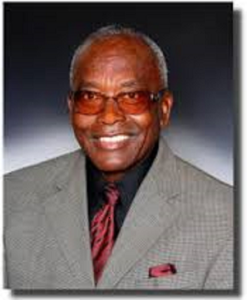 For over twenty-nine years, Andrews taught Black History and Government at Long Beach Poly and Wilson High Schools. He currently works as a substitute teacher at Cabrillo High School in the Long Beach Unified School District. Under Long Beach’s City Charter, Councilmembers may run for a third term, but only as write-in candidates in the Primary Election. Upon advancing to the General Election, their names will appear on the ballot. To write-in Dee Andrews, click HERE.